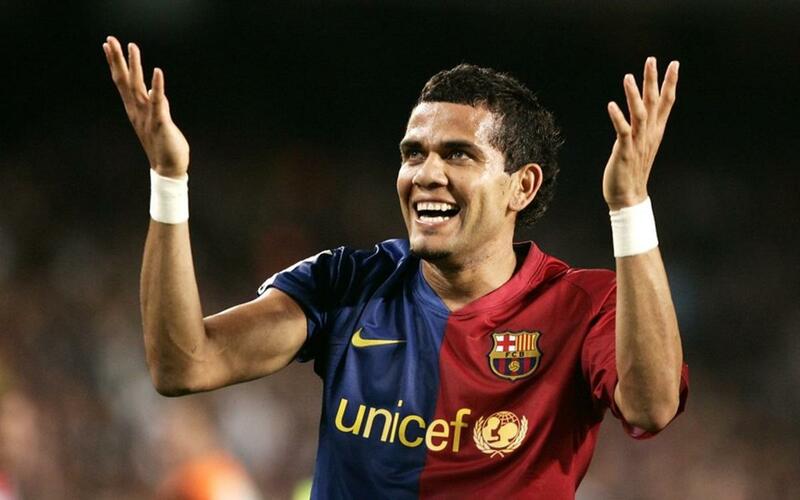 After five successful seasons with Sevilla, Dani Alves came to FC Barcelona in the summer of 2008. His physical strength earned him the nickname The Tarantula in his native Brazil and he was soon the indisputable first choice at right back for the blaugranes. In his eight seasons in a Barça shirt he made 414 appearance, 391 of which came in official competition, for an average of 49 games a season. With his solidity in defence, his rampaging runs down the flank, and his potent shot from outside the box, he was a vital component for four different blaugrana coaches: Pep Guardiola, Tito Vilanova, Tata Martino and Luis Enrique. Furthermore, his commitment to the team and his extrovert personality made him a firm favourite with the Barça fans and one of the stars when it came to celebrating the team’s many successes. At the time of his departure in the summer of 2016, Dani Alves was second on Barça's all-time appearance list for foreign players, behind none other than Leo Messi. Also, he is one of the players with the most trophies having won 26 with Barça, five with Sevilla and three with the Brazilian national team. Football fans will never forget his raids down the right hand side in tandem with Messi, wreaking havoc on opposing defences.